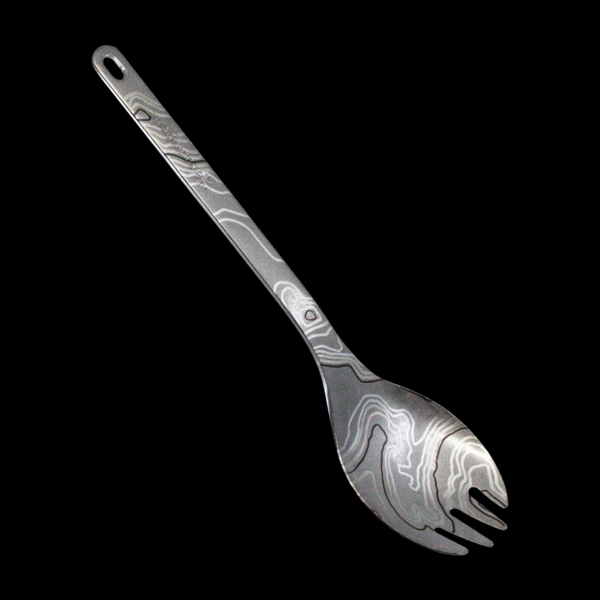 From backcountry travel to EDC, the spork has become a mess kit staple. 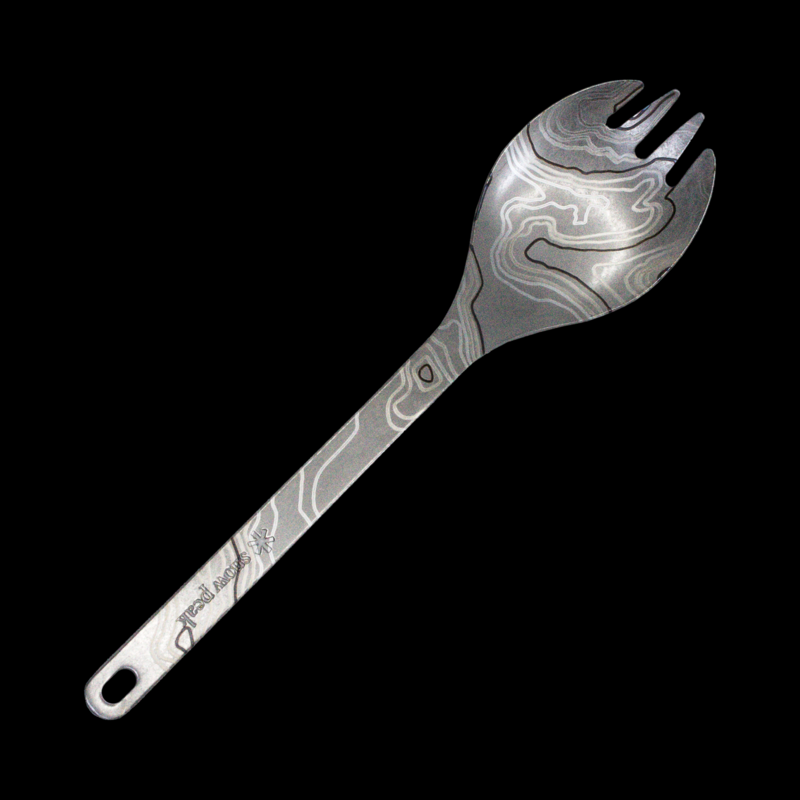 Able to function as both a spoon and a fork, the spork saves on space and weight by replacing multiple utensils. 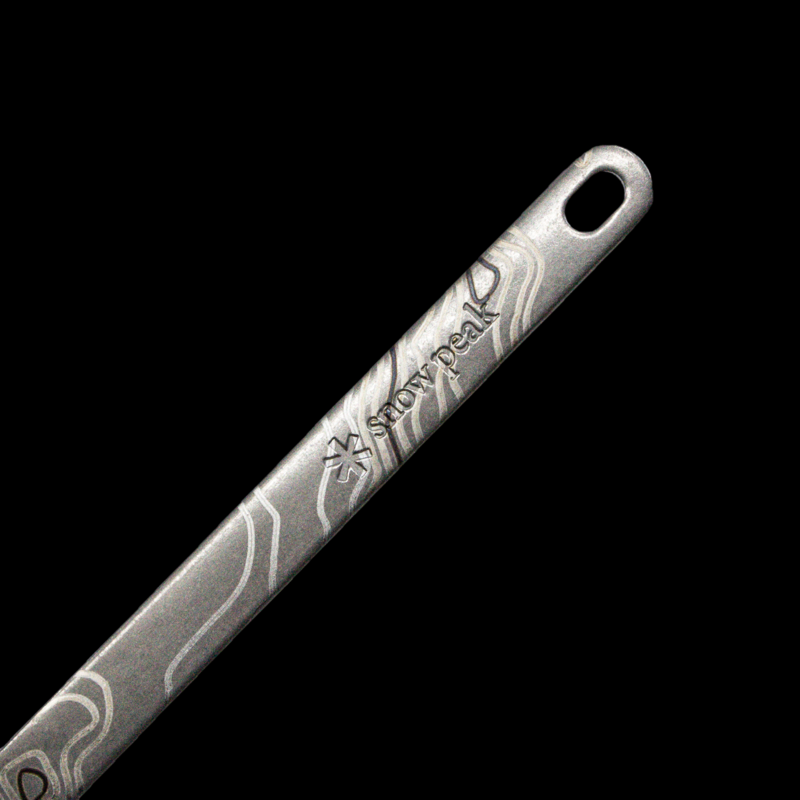 Snow Peak's titanium spork weighs in at a mere 15 grams and sets the standard for quality. 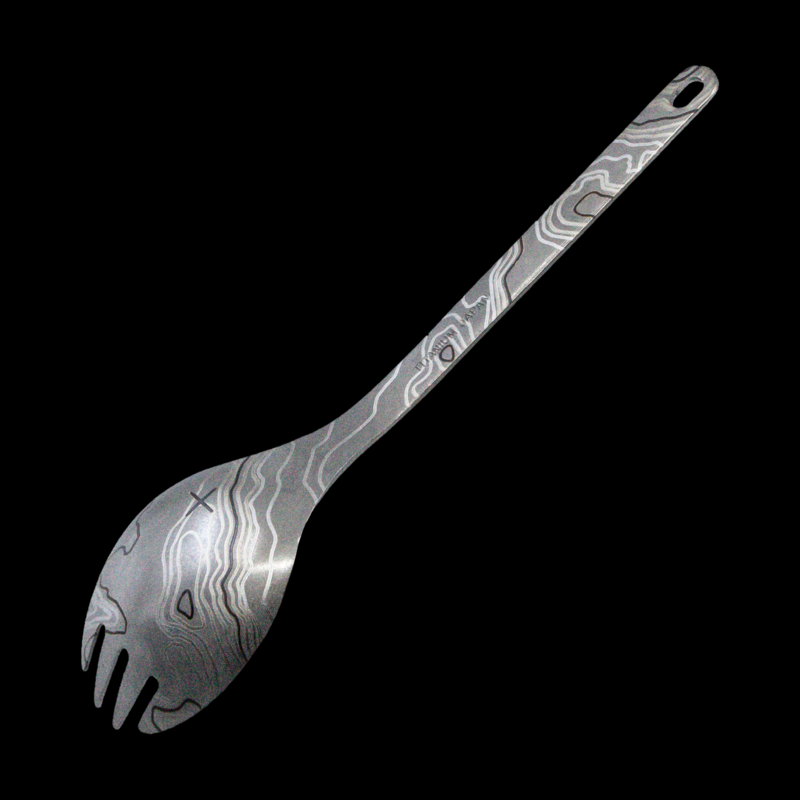 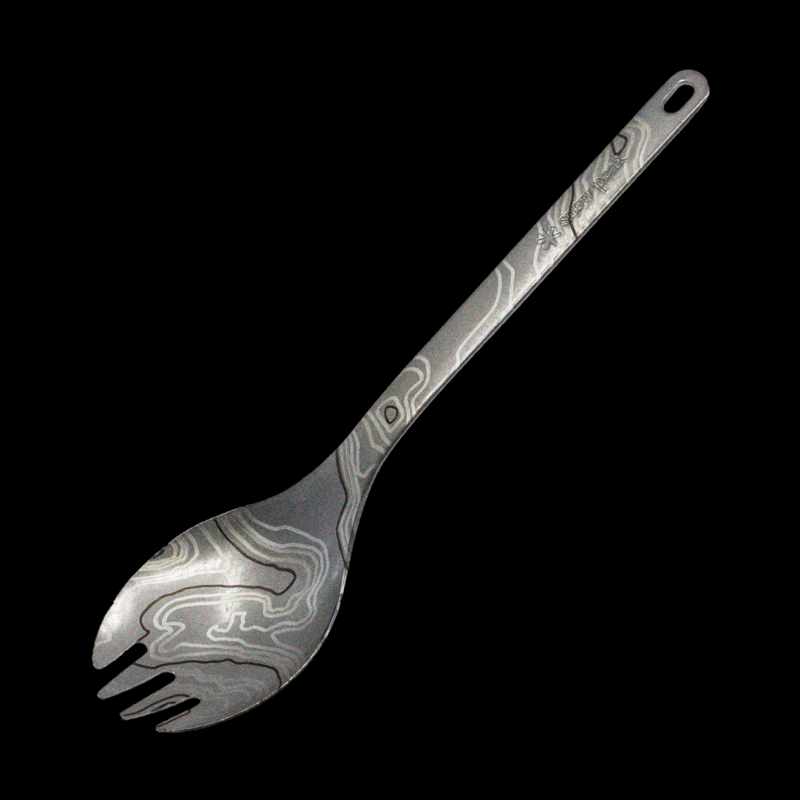 We've laser engraved our distinctive topo pattern on both sides of the spork.